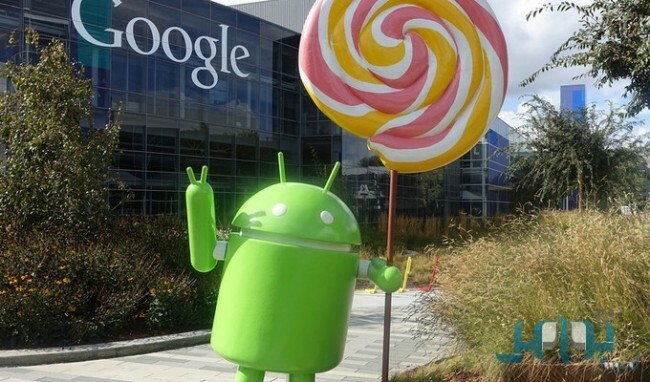 Internet giant Google’s technical team was working for a long time to improve its Android version called Lollipop. It seemed true when they came out with an update for Lollipop officially named to be Android 5.1. The new version is being introduced after fixing certain bugs in the older version. It also features certain new apps resulting in making it user friendly. The official confirmation acme out when they declared it on their official website. They promise that new version will provide more stability and greater performance for the users. New version of Lollipop comes out with new features and bunch of promises. Most notable among them is the provision of multiple SIM slots. This enables the users to share their smartphones with members of their family and also with close friends. This helps in handling more than one SIM at a particular point of time. Device Protection is the next most important feature that is added. It is inevitable for the security of a smartphone. This new automatically locks down your smartphone and it remains in such a state till the user gets signed in with his/her own Gmail account. This is a unique security feature. If smartphone is lost by theft then the burglar will not be able to open the device. Another stunning feature us that even factory reset application will not come in handy in such situations. Obviously this feature safeguards your smartphone from theft because thief can do nothing with the device until it gets opened. HD Voice Calling is another facility that Google provides additionally with the newly introduced upgraded version of Lollipop. It is compatible with certain other devices like Nexus 6 and certain Android devices which has T-Mobile. The Quick Settings Menu stands redesigned in the new version. It is so designed in such a way that it get connects with Bluetooth and WiFi from the menu option directly. This feature also enables to control the Bluetooth and WiFi directly without going into the application. Initially the new update is available for certain selected devices of Nexus, especially Nexus 6 and 9. As in the official news, the new version primarily focused on solving the bug issues associated earlier Android 5.0. With the newly introduced features Google claimed to provide enhanced security features, clarity Voice Calling facility etc. With these updates, Google is planning to compete itself with iOS featured smartphones as the security features were initially introduced by them.